Focused and Free: Why Two Baptisms? There are two types of baptism, physical and spiritual. A person is physically baptized with water. Water baptism is a symbolic ritual and neither saves or redeems a person. A person may be water baptized a number of times in a number of different ways, and never realize a genuine change of heart. A person is spiritually baptized by the Spirit of Holiness. Spiritual baptism is the result of a genuine change of heart and a surrendered life to God, through faith in Christ. 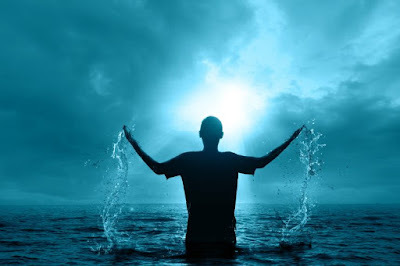 Water baptism is a Jewish ritual based on the Torah (what Christians refer to as the Old Testament), which requires one to be ritually pure before entering the Tabernacle or Temple. "Ritual purity could be lost in many ways; the preeminent means of restoring it was through washing. A quick review of Leviticus shows how frequently the matter is mentioned…"
To become ritually pure, one must immerse the entire body in water. 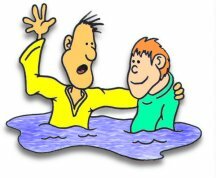 The Greek word for immersion (to immerse) is "baptizo" and is generally transliterated as "baptized." "The root meaning of the word 'baptizo' is 'dip, soak, immerse' into a liquid so that what is dipped takes on qualities of what it has been dipped in - for example, cloth in dye or leather in tanning solution. A person who immerses himself participates in an obvious yet living metaphor of purification, with water, as it were, washing away the impurity." In the beginning of Matthew, chapter 3 John the Baptist proclaims a new context for the old practice of immersion, cleansing from a lifestyle of sin, not ritual purity. Ritual purity, while commanded of God, is an external, religious practice, which - as noted in Colossians 2:17 and Hebrews 10:1 - were a shadow of things to come. They could never bring into perfection, the person who practiced them. Thus, the rituals were repeated endlessly. Thus, place was given for the fulfillment of God's plan of salvation in the New Covenant, established through the life, death and resurrection of the Jewish Messiah, Yeshua; or in the Greek, Iesou (Jesus) Xristos (Christ). Why then, did Jesus come to John to be baptized in the Jordan? According to Scripture, Jesus led a sinless life (cf. Hebrews 4:15) and had no need to be baptized "for the remission of sins" or to become ritually clean. Why then, did he seek to be baptized? Remember that Jesus was brought up in the Jewish faith (Judaism), and he observed all the rites and traditions faithfully. His baptism served both a physical and a spiritual purpose. Physically, it honored a Jewish tradition based on Torah. Then, as "the Lamb of God, who takes away the sin of the world" (John 1:29), Christ had to be baptized, just as he had to be crucified. The baptism of Jesus is the first 'public' display of Christ's purpose on earth as the Lamb of God. "Immediately upon coming up out of the water, he saw heaven torn open and the Spirit descending upon him like a dove" (Mark 1:10, Jewish New Testament). Jesus was baptized (immersed) into the Spirit of Holiness (spiritual baptism). This new spiritual baptism is immersion into the Spirit of God. This new spiritual baptism marks us forever as "property of God." Note that Jesus had already immersed himself in the things of God a long time ago (cf. Luke 2:41-50). 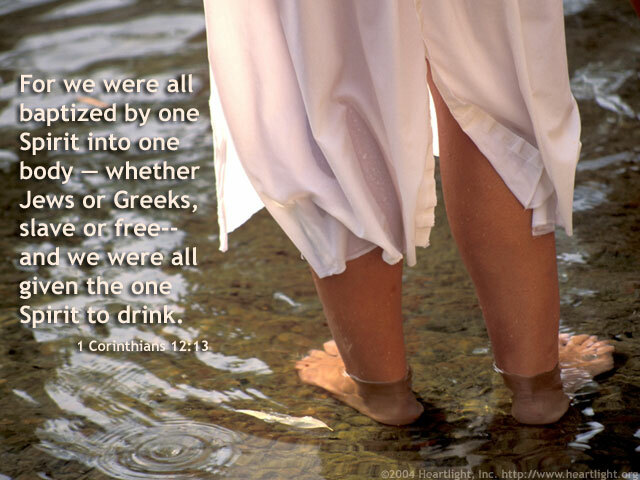 From these and many other passages, we begin to understand that we are to be baptized (immersed) into God.